Healthy skin serves an important function as a boundary to the external world. If this barrier function is disturbed, the skin becomes very dry. Itching, redness and flaking may result. When this happens, it is important to provide the skin with fortifying care. 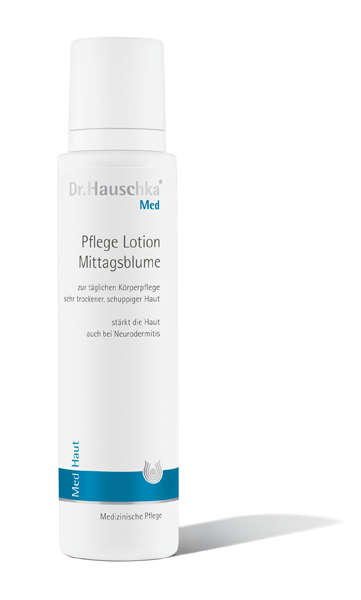 Dr.Hauschka Med Ice Plant Body Care Lotion is the ideal basic daily skin care at such times, leaving the skin feeling soft and smooth. 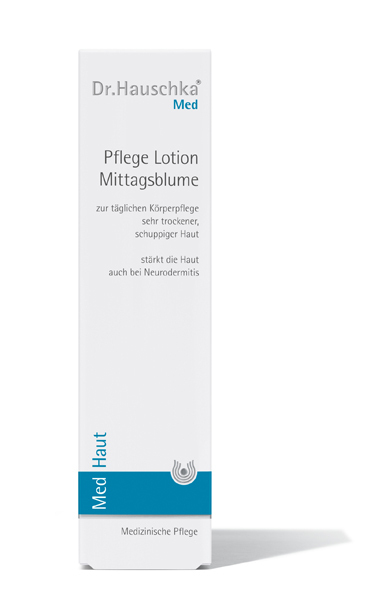 Skin that is cared for is better protected and itches less. Application: Apply generously to the entire body on a daily basis. Ingredients INCI: Aqua, Mesembryanthemum Crystallinum Extract, Glycerin, Alcohol, Simmondsia Chinensis Oil, Persea Gratissima Oil, Prunus Amygdalus Dulcis Oil, Manihot Utilissima Starch, Cera Alba, Lanolin, Lysolecithin, Mangifera Indica Seed Butter, Butyrospermum Parkii Butter, Daucus Carota Extract, Sucrose Stearate, Sucrose Distearate, Chondrus Crispus Extract, Glyceryl Stearate, Hectorite, Xanthan Gum, Stearic Acid, Amyris Balsamifera Oil, Rosmarinus Officinalis Extract, Sodium Stearoyl Lactylate.